"Family Burial Place of Wm P Allen"
Just south of the little community of Millville, Orleans Co NY is the Millville Cemetery. 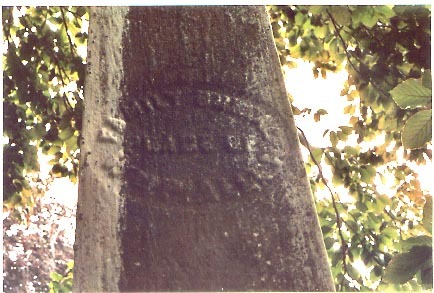 Not far from the old gates is the Allen Family Burial Place. 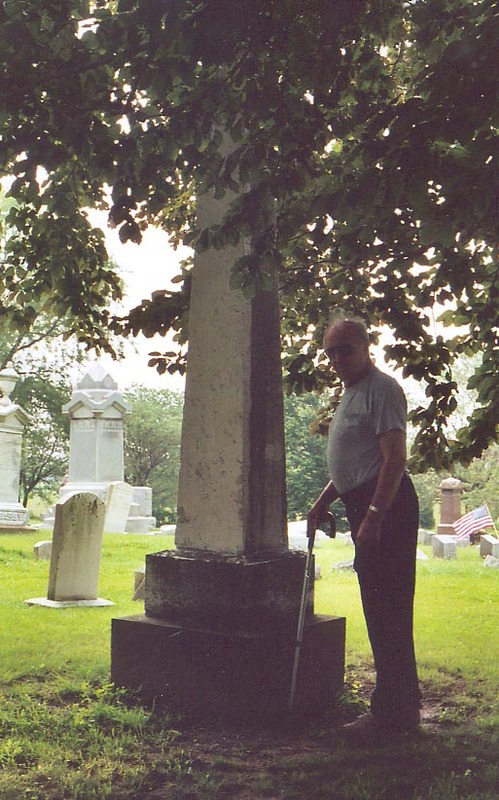 My mother and I first found the graves in March of 1979 - Uncle Art and I revisited the site in July of 2004. 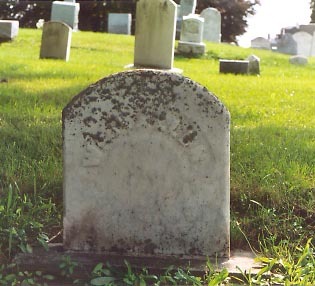 Our ancestor William P Allen is buried there, along with his wife Lucinda and several of their children. For the full listing of Allen's in the cemetery go to the Orleans County Rootsweb page. You will find the link in our Links and Resources. Grave of our ancestor Wm P Allen. We believe he was born in Oneida County, his father dying just before he was born. His mother Margaret Randall Allen would remarry and take him west into the Ohio frontier. They returned when he was in his early teens, and he eventually would move to Millville where he would raise his own family and run his tannery. 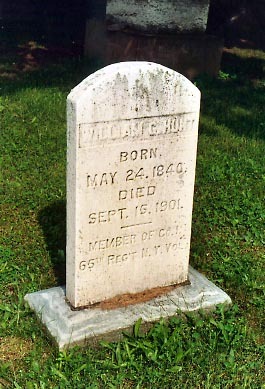 He died in 1867. For more information go to the Allen Genealogy Page. 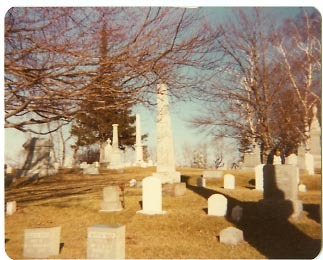 The Allen Burial Plot as it appeared in the Spring of 1979. Mom and I believed we were the first Allen descendants to visit the spot in many years. 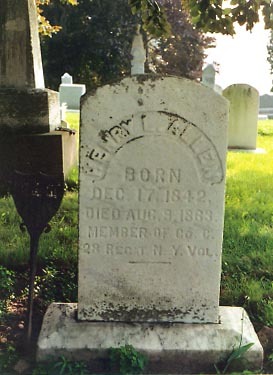 Henry Allen was one of several of the Allen boys who went off to fight in the Civil War. He was killed in the battle of Cedar Mountain in 1863.